Wonderful Baker Rowhouse with Abundant Charm! Open concept urban studio space. Hardwood floors and new modern tile and cabinetry in the kitchen and bath. Great use of space and lots of storage with custom shelving and an unfinished basement that provides added storage space. The beautiful private back courtyard oasis is the perfect place to retreat with a peaceful water feature, pergola and gorgeous perennial flowers that bloom throughout the season. Low maintenance landscaping; the front landscaping is drought resistant. In-unit washer and dryer and no HOA. Amazing location close to 6th Ave, and Broadway shops and entertainment. New coffee shop and brewery across the street. Blocks from Dailey Park and bike paths. 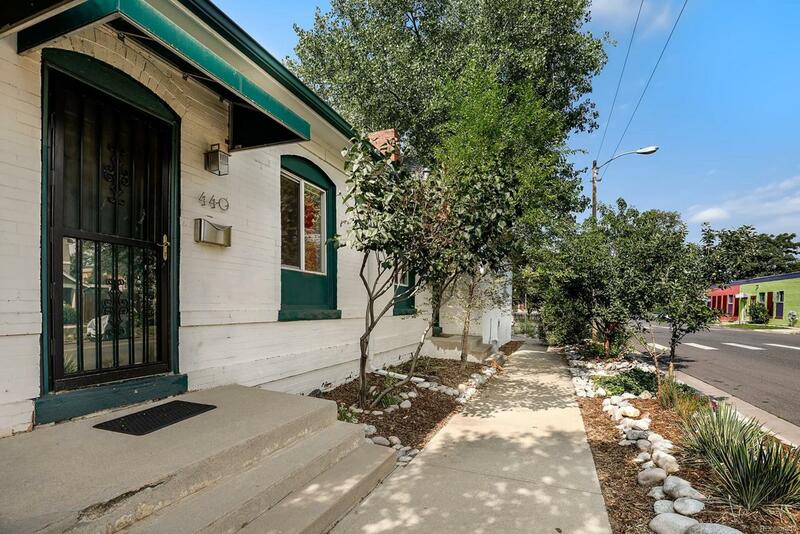 Easy access to I-25 and Downtown.